1.5.3 英語放送 スクリプト編: 阪急 京トレイン - dutcheez’s Fun with English! We will soon arrive at Kyoto Kawaramachi terminal. Thank you for taking the Hankyu railway. We hope that we can be in service again on your return trip. Thank you. Designated one of Japan’s sites of both historic interest and scenic beauty, Arashiyama is well known as one of Kyoto’s most popular sightseeing spots. The area often serves as a stage for movies, TV dramas, and commercials. and throngs with visitors throughout the year. Stretching 155 meters, Arashiyama’s landmark Togetsukyo Bridge makes an enchanting picture set against the pink cherry blossoms of spring or the mountains painted red and gold by maple trees in autumn. Every visit to Arashiyama promises inspiration and serenity. Beyond the Togetsukyo Bridge, numerous shrines and temples lie, including world heritage site Tenryuji Temple. History and the charm of each of the four seasons, combined for a truly pleasant experience. Rental bicycles are a great way to enjoy Arashiyama. Don’t miss out on this fun way to see Arashiyama. Guide leaflets for the Kyoto Arashiyama area are currently available inside trains so please, help yourself. 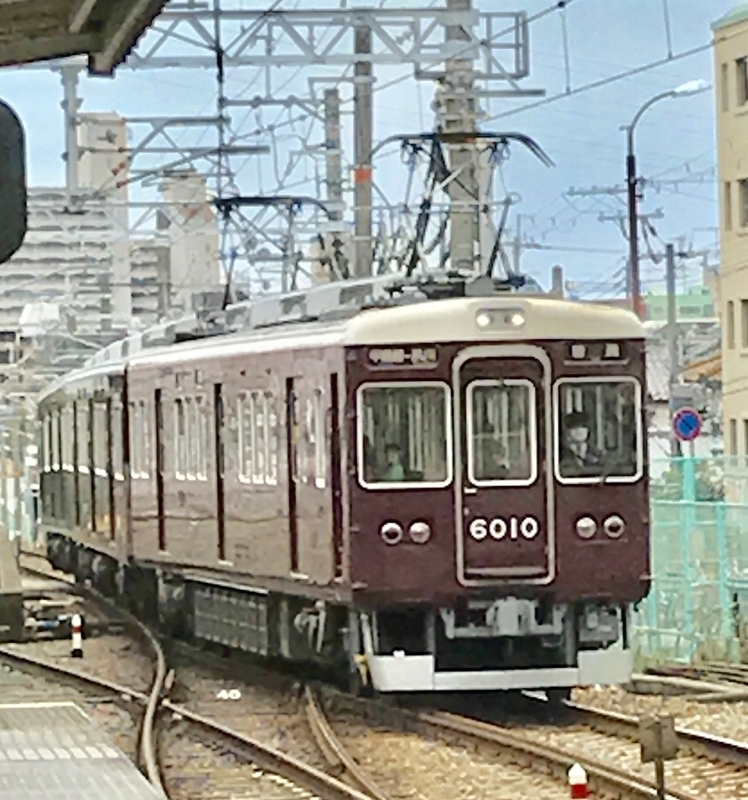 To get to Arashiyama, change to platform 1 at Hankyu Katsura station, and it’s just 7 minutes away. Come, enjoy Arashiyama! 155: One hundred and fifty-five; and は聞き取れますか? Arashiyama has been loved for its scenery for over 1,000 years. The scenic beauty of Arashiyama will make us forget our reality and fill our mind with tranquility.